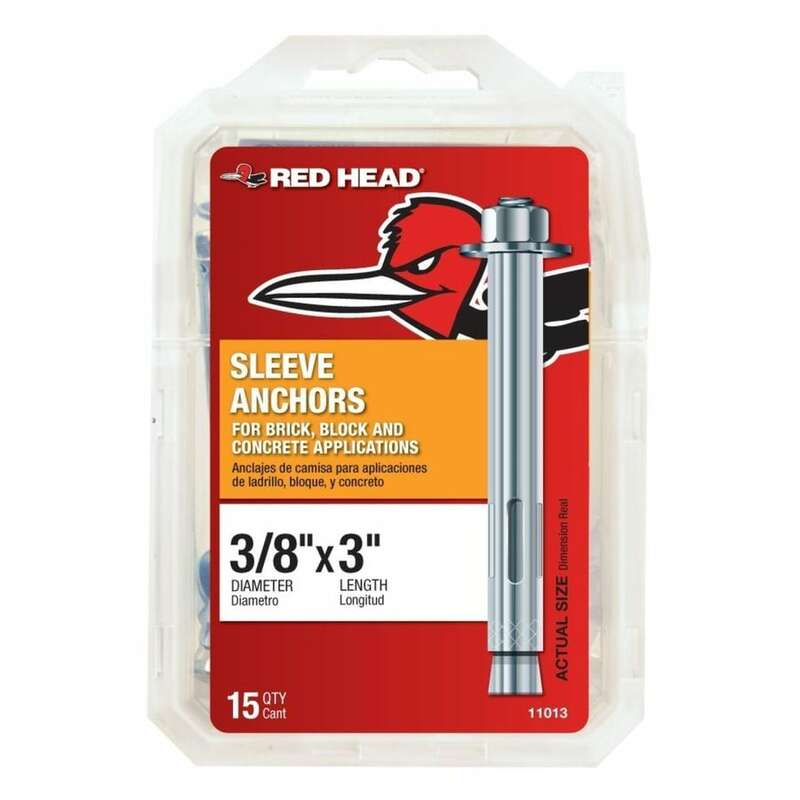 I bought some 3/8" x 3" sleeve anchors for a fence i'm installing. 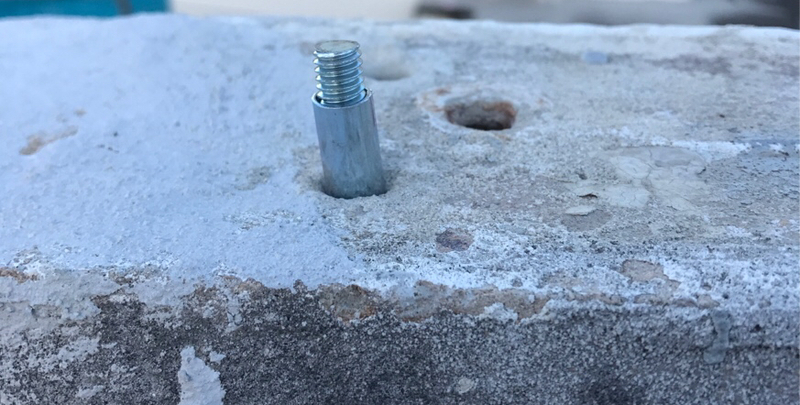 This is very hard concrete from a building ledge; the holes cannot be drilled with a regular hammer drill. So we drilled 3" holes for these sleeve anchors, and before installing them I double-checked to make sure that the hole depth was correct. I start hammering it so that it goes in, but after a certain point, it doesn't move anymore. From the sound of the hammering, I know the anchor sleeve won't budge. Why is this happening and what can I do so that it doesn't happen again? The problem is that there's no way to remove it. How did you check the depth of the hole? You should be able to get out the ones you pounded by putting a nut on them and levering them out. You can also get fancy and make a pipe sleeve, some washers and the nut and screw it out. From the photo it looks like an SDS rotary hammer could be used to drill deeper BUT depending on the concrete, maybe you are trying to get it trough a piece of rebar. I guess a telescopic magnetic pick-up tool could tell.